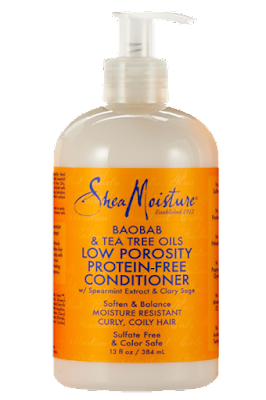 The time has come to finally share my review on the low porosity conditioner. Well, to be honest I didn't see a difference when you compare it with the Herbal Essence Hello Hydration. It basically did the same thing, but I feel that Herbal Essence is better. Don't get me wrong, the Shea moisture conditioner definitely detangled my hair after shampooing, but for the fraction of the cost, I think I will stick with Herbal Essence. As I compared the ingredients, it turned out that it was very similar. Shea Moisture may have had a few natural ingredients, but it really wasn't a major difference. I will continue to give it another chance, but it's looking like I will stick to the Herbal Essence Hello Hydration conditioner. I will continue to add my natural oils during pre-poo and during my deep treatment along with my Aubrey Organics.